As much as I love black + white... 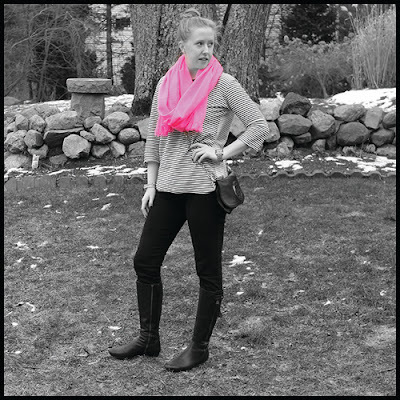 I love a black + white with a pop of color, like this hot pink pashmina (a recent purchase from J. Crew on major sale). 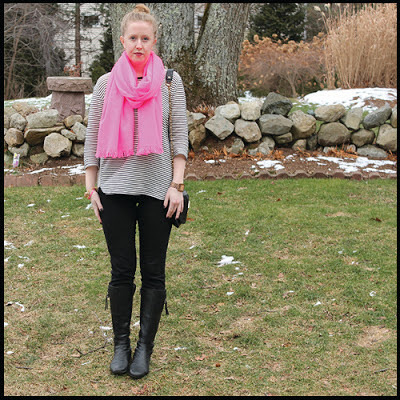 A pop of color can spice up any look. Here is a little photoshop fun for you.. Which look do you like best? Happy Thursday / just barely Friday / almost the weekend!